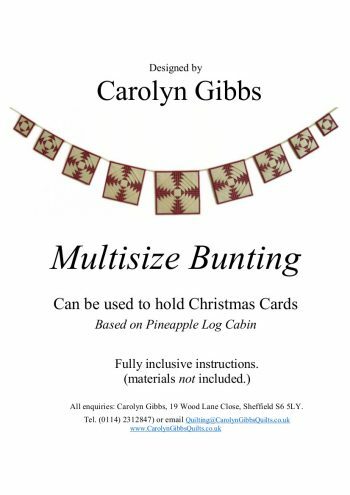 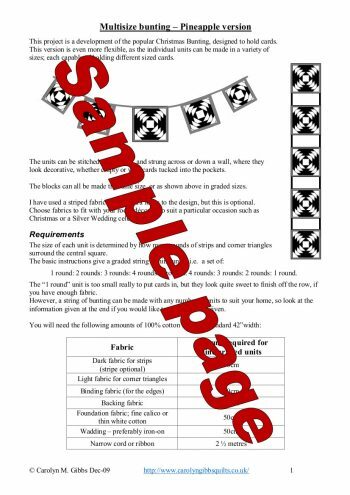 This card hanger pattern is made in the Pineapple Log Cabin design. 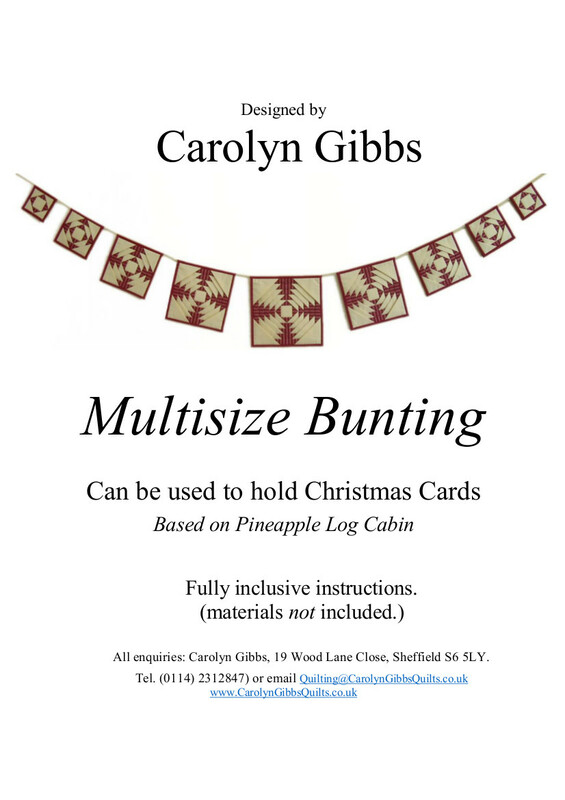 Select your colours to fit in with any festive occasion- Christmas, a birthday or a wedding for example, and tuck cards into the pockets. 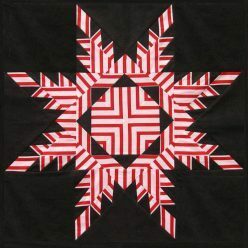 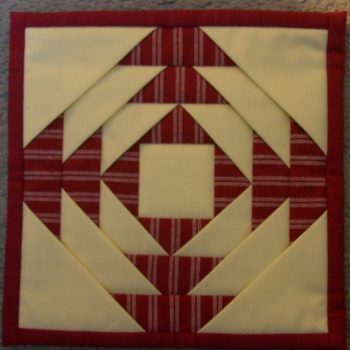 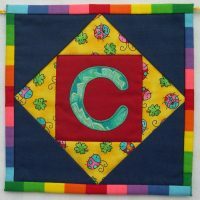 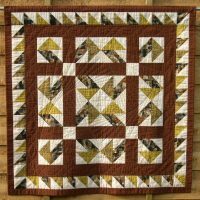 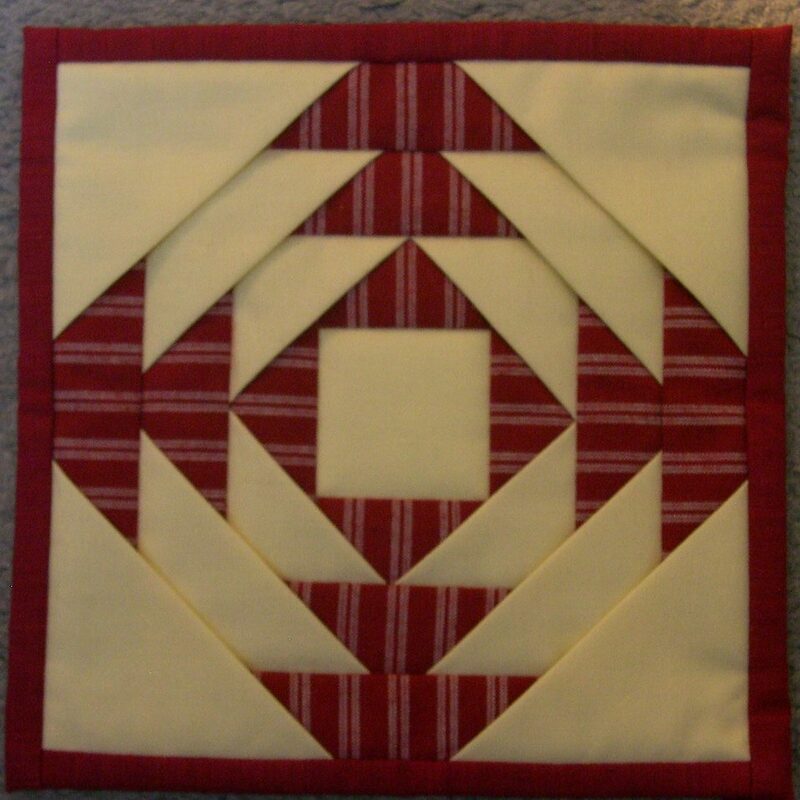 It is pieced on a fabric foundation, using “quilt as you go” to speed up the process. 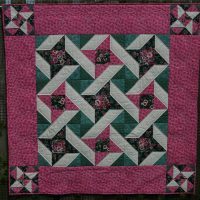 5 graded sizes of units can be made, combined in whatever way suits your home, and displayed across a wall or over a door. 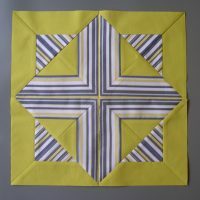 Instructions are included for successfully cutting striped fabric to add to the impact if you choose.